Come enjoy your holidays with AmigoBingo and win over $30,000 in GUARANTEED cash and prizes. Our special 12 Days of Christmas patterns will start December 14th thru December 25th in our Main room. 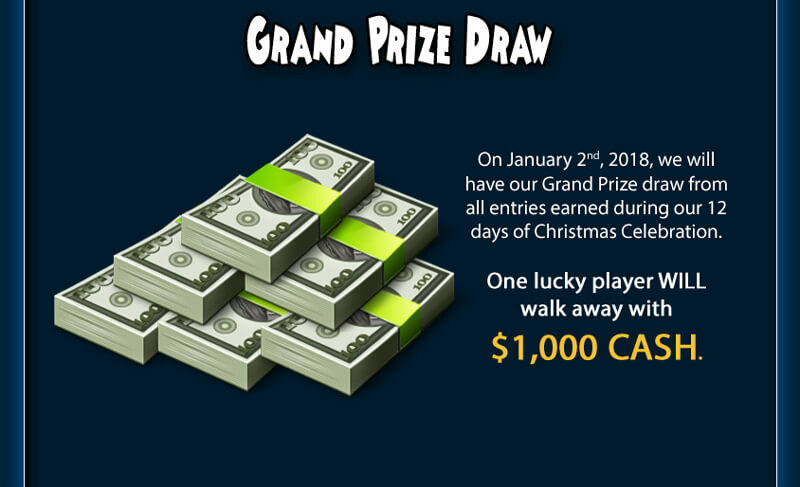 AmigoBingo’s 12 Days of Christmas run from December 14th – December 25th, 2017. Every Contest Pattern won between December 14th and December 25th will be automatically entered into our Grand Prize Draw.